Concentrating on private impressions and conversations in published poems is self-evident for many, maybe for most people who read, write, translate, edit such stuff. But China, and also Taiwan to a certain extent, have put into question art, books, beauty, skills, traditions, language- anything had to serve the Party, and what the Party couldn’t use could not exist. Capitalism does it too, everything that doesn’t pay, that we can’t finance, cannot remain. They get along splendidly, finance and centralized state, Mao and the Mammon. That’s how the modern world was developed. “Beneath our feet, we couldn’t see through dust and ash, rank growth of old. Father holding his iron staff, asking me: ‘Are you afraid?’ Oh, I raised my head, Orion sparkling right in the middle, space reverberations sounding from eons– falling silently, are those meteors, one blue whiplash after the other?” 流星記事, Meteor Account, or Meteor Accounts, by Zhu Fengming 祝凤鸣 (Oct. 1996). 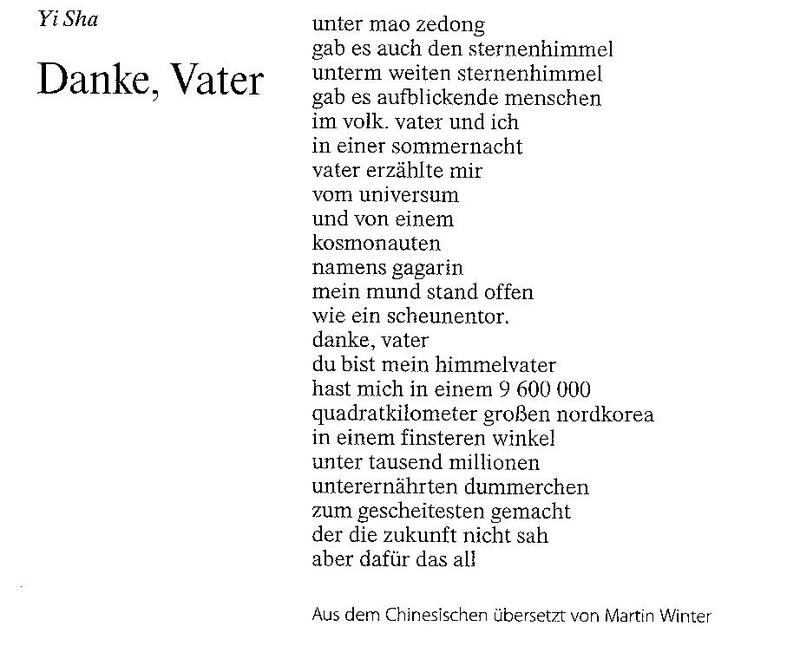 Nick Kaldis just showed me his translation of Meteor Account, from a dozen Chinese poems in the magazine Dirty Goat (#24 February 2011).The quote above is in my own translation, I couldn’t resist. Rank growth of old – 古蟒 or 古莽? Nick Kaldis thinks there might be a misprint. (“古蟒 would refer to a snake known from fossil remains, the Paleopython, while 古莽 refers to rank grass.”). 祝凤鸣，男，1964年生于安徽宿松县… Zhu Fengming (born 1964) is a geologist from Anhui. The existence of space. Of God(s). Yin-yang, fengshui. Existence of wonder. Or the other way, wonder of existence. Outside the Party. Very much among the common people on the other hand, in the countryside, barefoot doctors, and so on, in the rest of Zhu Fengming’s poem. 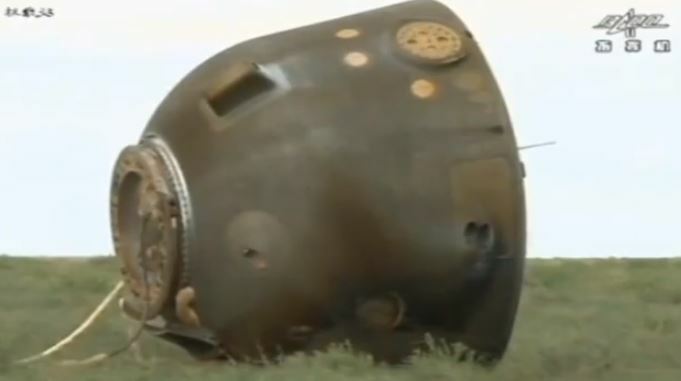 Space, spaceflight. A great achievement. “Sister killed her baby ’cause she couldn’t afford to feed it we are sending people to the moon.” Prince, Sign o’ the Times. Really, I think they should have written more about this in the international papers. 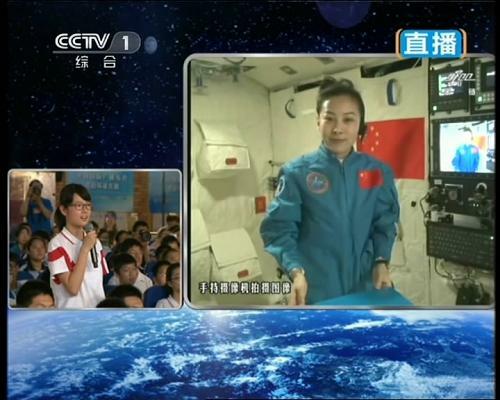 Yes, it worked, no-one died, Wang Yaping 王亞平 teaching from space, tens of millions watching and listening to her. 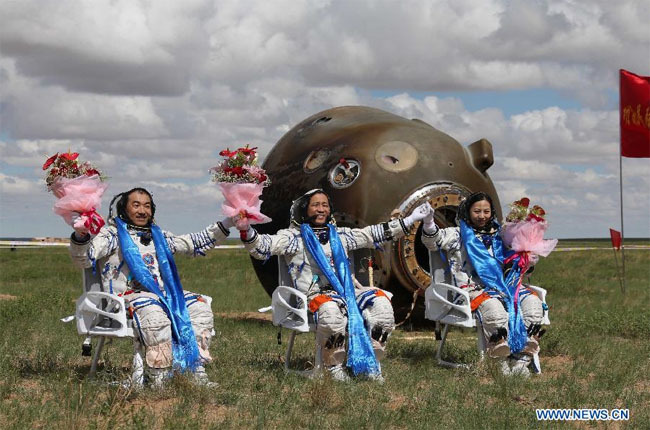 A great leap, a giant leap, really. Responsibility, great responsibility. How many things could go wrong, in space, for the nation. Planning everything, the very opposite of wu wei. That’s how the famine came. No space for real wondering. Everything organized, all propaganda, all of the nation. They are planning, they have begun to move hundreds of millions more to the cities. Destroying small farms, villages, settlements, temples. Like they destroyed the ancient cities. 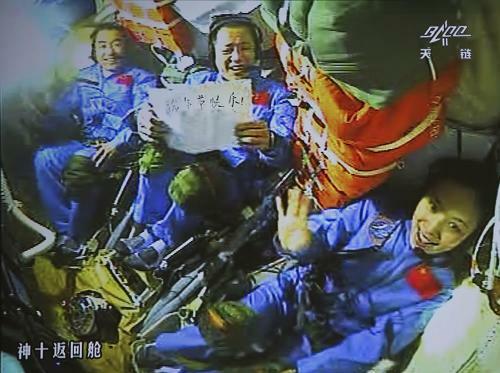 They should write about spaceflight, every time. I have to get back to my daughter. 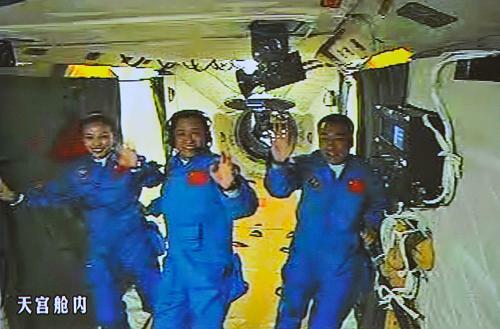 Show her the videos from Shenzhou 10. Yi Sha’s poem is from 2003, from the beginning of these missions 10 years ago.